If Colorado for Equal Rights for Human Life and other anti-abortion groups can wrangle 76,000 signatures in the next six months, theirs could be the first state in the nation to vote on whether a fertilized egg should legally be considered a person. Despite resistance from abortion-rights groups, the Colorado Supreme Court on November 13 approved the ballot measure  40 years after Colorado became the first state to relax abortion laws  giving a boost to a conservative political movement that has worked doggedly for decades to overturn Roe v. Wade. Colorado Right to Life spokesman Bob Enyart says, "Embryos are living human beings with eternal souls and spirits. You just have to refrain from killing one to see what a precious child it is." Voters would decide if a fertilized egg is entitled to the Colorado constitutional protections of inalienable rights, equality of justice and due process of law. But opponents charge that the proposed ballot measure is just another attempt to fight abortion and a particularly misleading attempt because the word "abortion" would not appear on the ballot. Planned Parenthood of the Rocky Mountains says the proposal is "far outside the mainstream of Colorado." "By defining 'person' as any fertilized egg, the measure would call into question the legality of most hormonal birth control methods, such as birth control pills, as well as in-vitro fertilization," says regional president Vicki Cowart. It would also raise the questions: what would happen to embryos awaiting implantation? Approximately 400,000 of them have been cryo-preserved in U.S. fertility clinics. Unused embryos are sometimes stored for later use, donated to others or given to scientists, according to Barbara Collura, executive director of RESOLVE: The National Infertility Association. 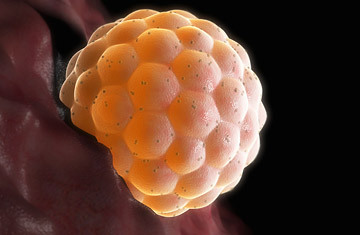 "We support the patient's right to determine the disposition of the embryos," Collura says. But Enyart, who is also a Denver Christian radio talk show personality, holds up the Snowflake Baby Movement as an alternative: Don't kill any embryos; instead, encourage people to adopt them. About 100 frozen embryos have already been adopted in the U.S., says Enyart, who routinely steers his listeners to the Snowflake website for information on how to give an embryo a home. It's hard to predict how many signatures Colorado's ballot measure will attract, but what's clear is that the anti-abortion movement is fractured. Colorado Right to Life has a mailing list of 10,000 and a $100,000 budget but is no longer affiliated with the National Right to Life Committee  "kicked out," says Enyart. He explains that the NRLC has refused to back "personhood" for decades, citing the unlikelihood that it would pass muster with the U.S. Supreme Court. The "purists" of the movement are so opposed to anything that even hints of approval for abortion that one new coalition of anti-abortion groups took out full-page ads in national newspapers criticizing evangelical leader James Dobson after he applauded the Supreme Court's decision to uphold the ban on partial birth abortions. In their eyes, Dobson, who opposes abortion, had given tacit approval to the "regulated killing of the unborn" by giving the nod to a court decision that recognizes the legality of the procedure in general even as it sets limits to it. And this week in Washington, the same coalition, with representatives from 12 states, plans to announce a new national splinter group  American Right to Life  which will be headed by Brian Rohrbough, whose son Daniel died in the Columbine shootings and who has been an outspoken critic of the American "culture of death." Nationally, pro-choice sentiments appear to remain predominant. The Center for Reproductive Rights in October released poll results indicating that a majority of voters don't support government interference with "medically necessary procedures prescribed by health care professionals." The poll found that 55% of respondents wanted abortion rights protected by federal law. Still, anti-abortion efforts similar to those in Colorado are currently under way in at least a dozen other states, including Georgia, Mississippi and Michigan, while officials in two states  Montana and Oregon  have already given such attempts the official thumbs-down.